Are you fed up with your job? Whether you want to find a more suitable career or find satisfaction in your current line of work, with my "Confusion to Clarity" program I'll help you get on a new path. Are you dreading going into work each day because you’re constantly bored, stressed out or unfulfilled in your role? Do you find yourself thinking that there’s got to be more to life than punching in each day? Are you unsure about how to discover and pursue a more suitable environment? It doesn’t have to be that way. You can begin to gain clarity around your path by cultivating your creative pursuits today. Long dormant passions of yours, whether it be music, writing, artwork or coming up with creative solutions to business problems can finally be given the attention they deserve. The reason that life feels like drudgery is because, for a creative person living a life without creative expression, your life is bound to feel monotonous and uninspiring. Like so many of us, you’ve allowed life to become devoid of meaning because your creative side was never given the encouragement and support that it needed. This is where my coaching comes in. My “Confusion to Clarity for Creatives” program is all about helping you determine exactly how to make a shift in your career so that you can feel more alive and experience greater success. We start by looking at the successes you’ve had in the past where you were engaged in a creative endeavor, and then we begin to cultivate those creative pursuits as a way to generate momentum for your newly inspired life. From there we systematically review job opportunities and career possibilities that are in alignment with your skills, experience and creative interests. My clients tell me they feel so much lighter after every session spent discovering what truly feeds their soul. A sense of calm and confidence comes over them as they realize that they’re exactly where they need to be and know what needs to be done. I coach from experience having endured the misaligned work life of corporate jobs that never fit with my passion for creativity and entrepreneurship. My approach is grounded in the ancient wisdom of the Zen tradition. I connected with Adam as a coach at the right time. I was feeling stagnant in my career and creative goals. I work in Advertising/Media sales, but have always maintained a strong interest in creative writing. Adam not only helped me re-surface my passion for writing, but also guided me through a process of clarifying my professional goals, to put me on a great new trajectory. Now, i'm back in school studying my passion and i'm doing better than ever in my professional work. If you're looking for a coach that understands multi-faceted individuals, complex careers, and challenging decisions, Adam is your guy. I have been working with Adam over the past few months and he has been instrumental in helping me map out my career trajectory. He listens intently then uses that information to ask me questions that help me re-frame how I view myself and my career. Instead of getting bogged down by the enormity of career decisions he was able to breakdown everything into smaller attainable goals. With his help I have a better understanding of where I want to go and he has provided me the tools to get there. 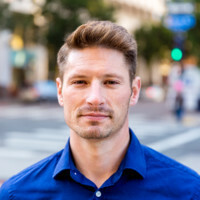 Adam embodies what I consider to be the most important qualities of an exemplary career coach: passion to help people grow, an innate curiosity, highly attuned listening skills, the ability to guide others through time tested frameworks, and the right level of reinforcement to push his clients forward. Adam does a great job at helping to manage trade offs, but also advocate for your truths to find the right course of action to realize your full potential. I have been able to better understand my inner voice and test how it can play out realistically. I recommend Adam to others looking for someone to help them access their gifts and bring them into the world. Adam creates a unique environment every time we speak where I both feel like anything is possible and I learn a lot about the things that drive me. As a product designer working on news credibility at Facebook, I’m expected to be on 100% of the time. With that has come a lot of questioning of what my strengths and weaknesses are as well as what I’m really truly happy doing. Adam has been instrumental in giving me tools to organize these thoughts and make them into actionable experiments that I can learn from. Through an interesting mixture of philosophies, real world experience, and time-tested practices he’s led me to a better understanding of myself and of where I shine brightest. Adam’s demeanor made me instantly comfortable opening up about topics that I’ve played close to my chest in the past. Because of that we’re able to dig in and do work that is incredibly impactful and has started shaping my future. I honestly can’t thank Adam enough for helping me uncover my own ability to shape my destiny. Success becomes inevitable once you've learned how to leverage your personal genius in your professional life. What we want in life doesn’t just show up on its own. The good life is available to us but only if we choose to create it. When the Universe calls you to take action is not always pretty but if you're able to tap into your intuition you'll know exactly what to do.